If you wish to celebrate your wedding in a castle on the French Riviera, here are some venues you may like. First of all, you must know that castles on the French Riviera are different from typical French castles. Indeed, there are few castles from Renaissance or Midle Ages periods on the French Riviera. When we speak about castles on the French Riviera, we much more often deal with huge and famous properties. Anyway, if you are looking for a very historical castle on the French Riviera, I suggest you to have a look at « Château de la Napoule« . Another very famous castle on the French Riviera is the castle in Tarascon. It also a museum but by night you can make it private to celebrate your wedding on the French Riviera. This castle is closer to Marseille. The spell of this castle on the French Riviera is inimitable ! 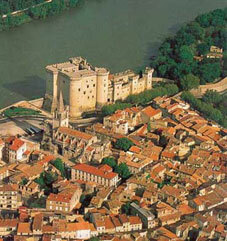 Tarascon’s castle is dedicated to weddings with around 100 -120 guests. If you’re fashion addicted, I know a perfect castle to celebrate your wedding on the French Riviera. « Château de la Colle Noire » is 60 kms far from Cannes and its famous owner was no one else than Christian Dior ! 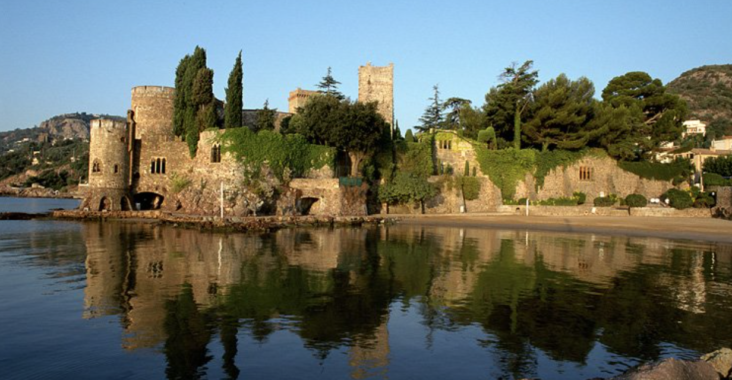 This castle on the French Riviera is perfect for weddings with 100 guests. There are few bedrooms for the family. There is something magic to get married where Christian Dior lived ! 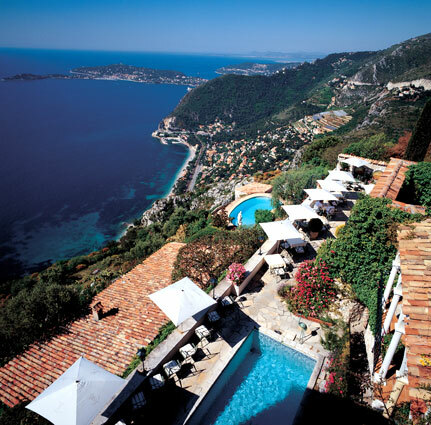 Personnaly, I prefer « Château de la Chèvre d’Or » between Nice and Monaco in Eze. This castle on the French Riviera is totally amazing with a stunning seaview. Château de la Chèvre d’Or is the perfect place to celebrate a wedding on the French Riviera thanks to its many bedrooms, several restaurants, swimming pool and wonderful gardens. The people of Château de la Chèvre d’Or are also very friendly and at your disposal ! 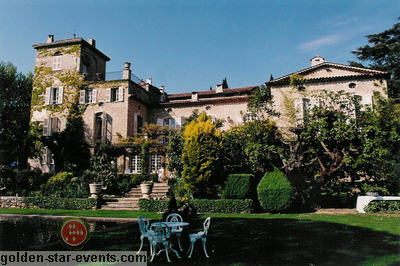 Eventually, I would suggest Château Saint Martin in Vence which is 20 kms from Nice or Cannes. 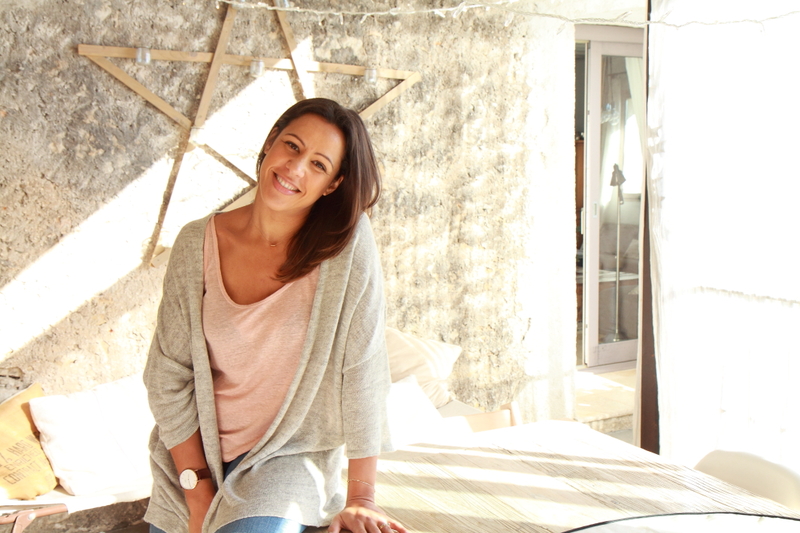 Château Saint Martin is alo an hotel where you can welcome your guests. Villas are also available for those who want to stay longer. The view on French Riviera landscapes is fabulous and you are bound to appreciate the quietness of this castle on the French Riviera. To conclude, I recommend once you have selected some castles to celebrate your wedding on the French Riviera, to go and spend a week end in each one. 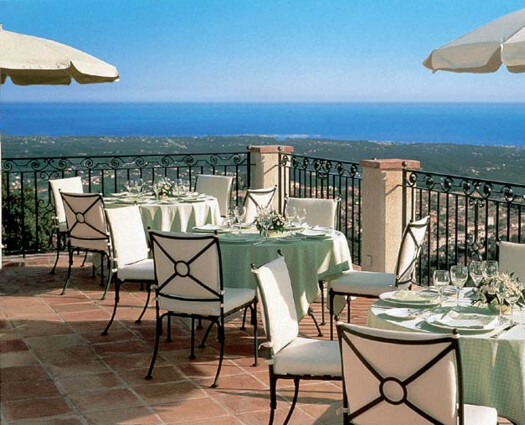 You would discover surrondings and the specificities of each castle on the French Riviera. Chateau de la Naouple is stunning. Could you please let me know how much the venue hire is for a wedding in June 2017? if you could send me details via email that would be much appreciated.